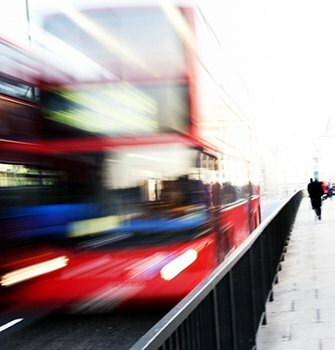 Go-Ahead London operates in one of the busiest cities in the world, running local bus routes, rail replacement services and sightseeing tours. Passengers include commuters, residents and tourists alike. With RealVNC remote access software with an Enterprise license in place, Go-Ahead London is supporting all of its remote depot locations throughout the capital. The depots house a fleet of over 1,500 buses that collectively clock up more than 55 million miles annually. Operating bus depots across the capital, each employing up to 600 members of staff, Go-Ahead London relies on the computers at each of these depots for critical operations such as parts ordering and personnel planning. 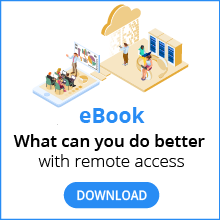 With this in mind, the IT team wanted a solution that enabled them to remotely administer and maintain the computers, without the need for a physical IT presence at each location. RealVNC remote access software with an Enterprise license was chosen for its resilience and stability, providing the most extensive compatibility over different operating systems, including Windows and Unix. When installing its 500 licences, Go-Ahead London made use of the software’s Deployment Tool, simplifying the management of the large installation and integration of the software within its network. Using RealVNC software, the IT technicians at Go-Ahead London are able to remotely support all its depots across the city, providing a responsive helpdesk service that is able to attend to IT problems efficiently, without the need to be on site. By using the software, the IT helpdesk has been able to decrease downtime at the depots by resolving IT issues quickly. Go-Ahead London’s IT technicians are able to provide remote support and maintenance for all of Go-Ahead London’s depots, effectively helping to keep London moving.